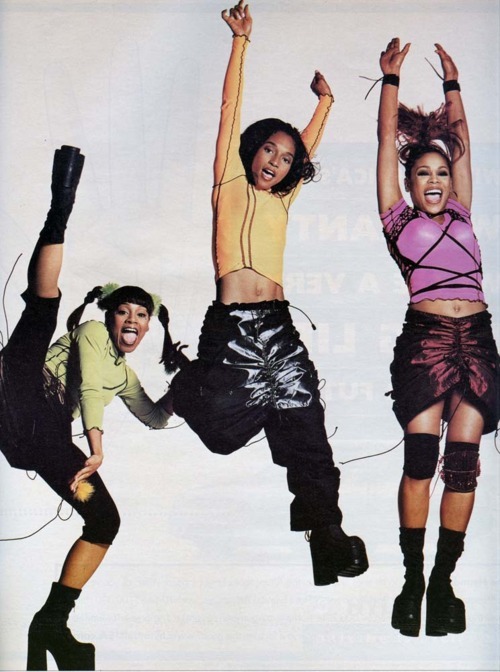 Who can ever forget the “CrazySexyCool” hip hop style of the electric TLC? Big ups! The girls from ATL did more than any of us could ever imagine in the music industry. It’s no secret that TLC was taken advantage of by front loaded record deal contracts that made them a slave to their former manager, Perri “Peeples” Reid. The TLC Story tells the story of TLC’s humble beginnings in Atlanta, GA which led to an unprecedented rise to fame in the 1990’s as one of the worlds most talented, celebrated, and highest-selling female groups of all time. Through very public and high-profile turmoil, success, and tragedy, TLC imprinted an undeniable stamp of female empowerment that changed the face of the music industry forever. 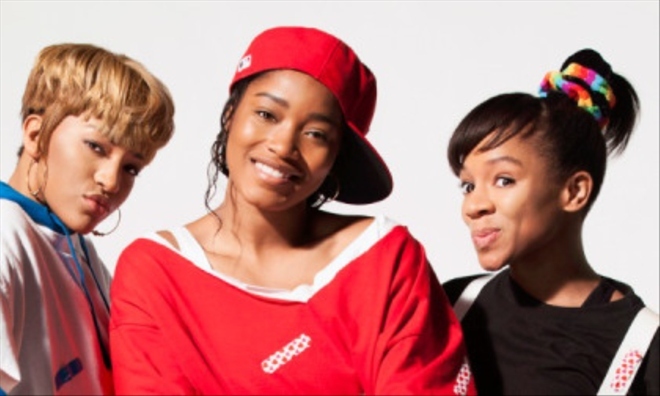 The film stars Keke Palmer as Rozonda “Chilli” Thomas, Niatia “Lil Mama” Kirkland as Lisa “Left Eye” Lopes, and Drew Sidora as Tionne “T-Boz” Watkins. The film was directed by Charles Stone III and written by Kate Lanier. Thomas and Watkins also served as executive producers for the film. The film premiered on VH1 on October 21, 2013. The film derives its title from the title of the group’s second album, CrazySexyCool. TLC released a compilation album, 20, released by LaFace and Epic Records on October 15, 2013, marking both the band’s 20-plus year in entertainment business and the release of CrazySexyCool: The TLC Story which largely inspired the track listing for 20. Next to their four number-one singles “Creep”, “Waterfalls”, “No Scrubs” and “Unpretty” plus a new track written by singer Ne-Yo, “Meant to Be”. The film depicts the group trails and tribulations as they navigate through the web of deception while living out their dreams of becoming music industry stars. The TLC story was PG driven with made for TV moments, but succeeds in giving fans insight on how “cut throat” the music business is and how it consistently takes advantage of naive dream chasers. The film’s premiere generated 4.5 million viewers, making it the highest-rated television film premiere of 2013, as well as the highest-rated original film premiere in VH1 history. The subsequent tour became the highest grossing tour of all time by a female band. In 2002, Lisa “Left Eye” Lopes died in a car accident in Honduras. Seven months later, T-Boz and Chilli released the group’s fourth album 3D, which sold 2 million copies worldwide, scored the Top 40 hit “Girl Talk”, and earned two Grammy Awards nominations. It featured previously unreleased vocals from Left Eye. Billboard magazine ranked TLC as one of the greatest musical trios. Between 1992 and 2002, the band had ten top ten singles, four number one singles, four multi-platinum albums, and won five Grammy Awards. At the end of 1999, TLC was ranked as the seventh most successful act of the 1990s by Billboard. In 2008, the group was inducted into the All Time Hot 100 Artist Hall of Fame by the same magazine, at 56th place. That year it was also listed as the #25 R&B/hip-hop artist of the preceding 25 years. According to the RIAA, TLC has sold more than 23 million albums and 6.5 million singles in the United States alone. Worldwide they have sold more than 65 million records and are ranked as the best-selling American female group of all time. In 2012, TLC ranked 12th on VH1’s 100 Greatest Women in Music, and as the number one all girl group. In 1990, Atlanta, Georgia based record producer Ian Burke and one of his clients, a teenager named Crystal Jones, came up with a concept for a girl group with a tomboyish, hip-hop image, similar to the blend of contemporary R&B and hip-hop music of new jack swing act Bell Biv Devoe. Jones put out a call for two more girls to join her in this trio. Her request was eventually answered by Tionne Watkins, a native of Des Moines, Iowa, who moved to Atlanta with her family at an early age, and Lisa Lopes, a rapper who had just moved to the city from her native Philadelphia, Pennsylvania, with only a keyboard and $750. Calling the group “2nd Nature”, Jones, Watkins, and Lopes began working with producers Jermaine Dupri and Rico Wade on demo tape material. Through a connection at the hair salon where Watkins worked, the group eventually managed to arrange an audition with singer Perri “Pebbles” Reid, who had started her own management and production company, Pebbitone. 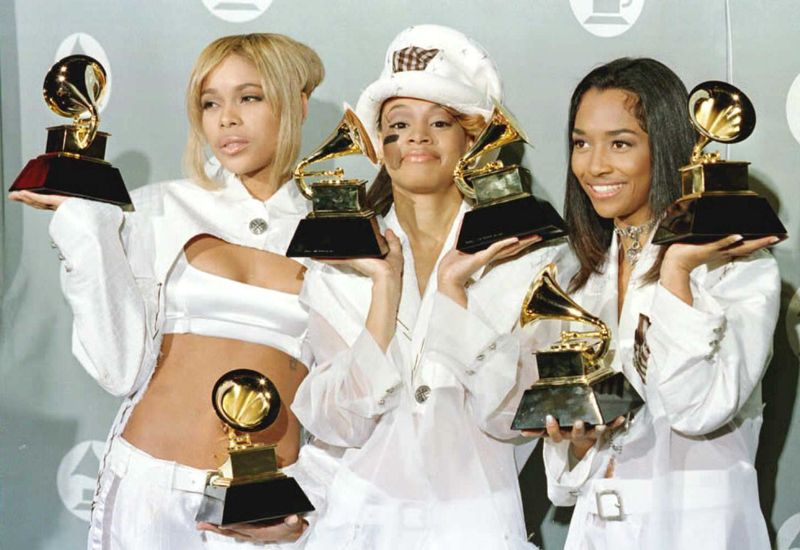 Impressed by the girls, Reid renamed the group “TLC-Skee” (with “TLC” being an acronym of each of their names) and arranged an audition for them with local record label LaFace Records, run by Kenneth “Babyface” Edmonds and Perri Reid’s then-husband, Antonio “L.A.” Reid. The latter Reid saw potential in Watkins and Lopes but felt that Jones should be replaced. According to Jones, she decided to leave the act after not being allowed to take home the contracts Pebbitone had drafted for the group for review; Watkins’ recollection is that both she and Lopes asked Jones to leave the group before their initial contracts were negotiated. On February 28, 1991, Watkins and Lopes signed production, management, and publishing deals with Pebbitone, with Perri Reid becoming their general manager. As they looked for a replacement for Jones, the two-member TLC-Skee made its first on-record appearance on a track for LaFace act Damian Dame’s self-titled 1991 LP. The group found its missing third member in Rozonda Thomas, one of Damian Dame’s part-time backup dancers. Thomas was signed to the act in April 1991, at about which time the group’s name was shortened to “TLC”. To keep the meaning behind the TLC name being an acronym for the girls’ names, Thomas was christened with the nickname “Chilli”, while Watkins became “T-Boz” and Lopes was named “Left Eye”. The girls were signed to LaFace in May 1991 through a production deal with Pebbitone and immediately went into the studio with producers Reid and Edmonds, Dallas Austin, Jermaine Dupri, and Marley Marl to produce their first album. They declared debts totaling $3.5 million, much of it because of Lopes’ insurance payments arising from the arson incident and Watkins’ medical bills, but the primary reason being that each member of the group was taking home less than $35,000 a year after paying managers, producers, expenses, and taxes. They sought to renegotiate their 1991 contract with LaFace, under which they only received a maximum of eight percent of the revenues from their album sales, and to dissolve their association with Pebbitone. Both Pebbitone and LaFace countered that TLC simply wanted more money and were in no real financial danger, resulting in two years of legal debates before the cases were finally settled in late 1996. TLC’s contract was renegotiated, their production deal with Pebbitone and Perri Reid (who had separated from her husband by this time) was rescinded, and the group appeared on the Waiting to Exhalesoundtrack with “This Is How It Works” (a song written by Babyface and Lopes) and was set to re-enter the recording studio the following year after signing a new contract with LaFace/Arista. Before the recording of their fourth album, 3D, Lopes originally wanted to withdraw from the group in order to see if they could duplicate their prior success without her contributions. Lopes eventually pursued solo stardom and recorded her first album Supernova, however it underperformed overseas and was never officially released in the United States. Before her second solo album was completed, Lopes died in a car crash while filming a documentary in Honduras, which would later be released as The Last Days of Left Eye in 2007 on VH1. In October 2013, TLC signed a new recording contract with Epic Records, and released an American version of the compilation album 20 on October 15. The album included one new recording, “Meant to Be”, written and produced by Ne-Yo. 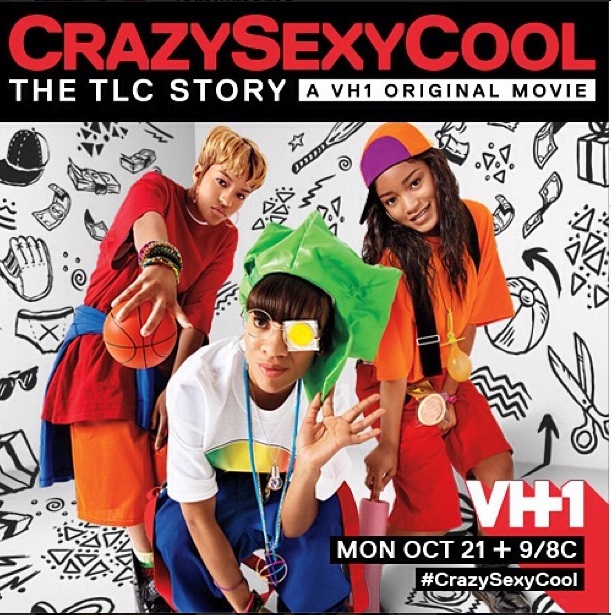 Two weeks later, on October 21,VH1 premiered a biographical telefilm based on the career of TLC, CrazySexyCool: The TLC Story. The film uses the new re-arrangement tracks fromTLC 20: 20th Anniversary Hits. The premiere broadcast garnered 4.5 million viewers, five-year ratings high for VH1. Later in the month of October, J. Cole and TLC won the “Impact Track” award at the 2013 BET Hip Hop Awards for their collaboration Crooked Smile. On December 12, 2013, Chilli uploaded a photo of the award to her official Instagram page.